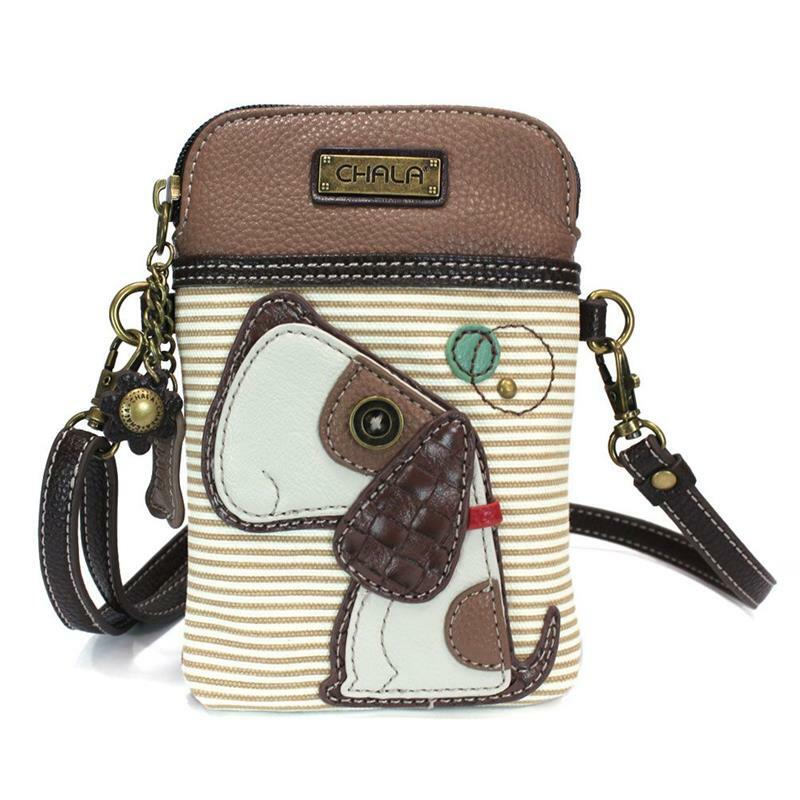 This whimsical, artfully designed cross-body cellphone bag is so perfect for pet lovers! It is made with top quality faux leather with extra padding throughout the bag to protect your cellphone. 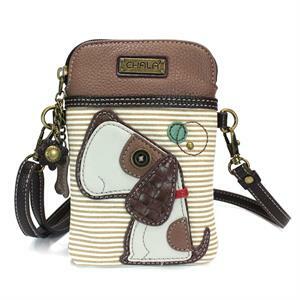 It has a top zipper closure for quick and easy access and a small front pocket adorned with a playful Happy Dog. Comes with an adjustable strap that can turn the bag into a purse, a cross-body bag or even a pouch! Buy one for a gift and one for yourself! !